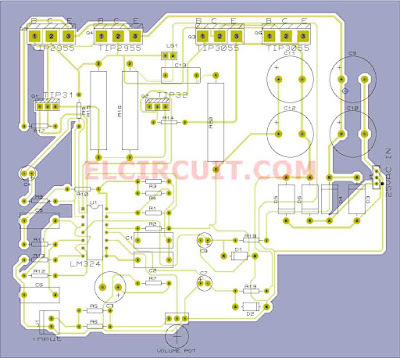 Subwoofer Home Theater Amplifier circuit is designed for subwoofer speaker system that used on Subwoofer system. 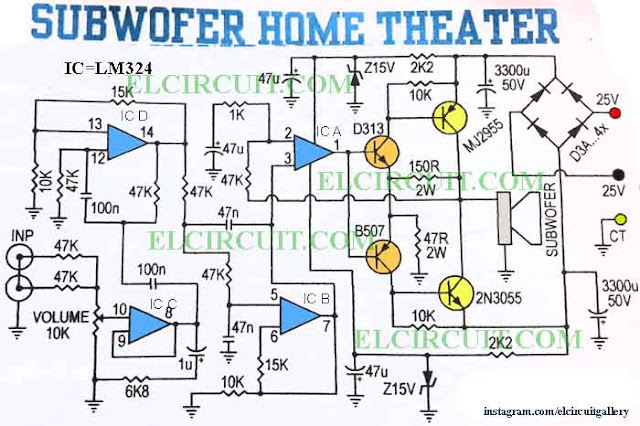 This circuit using IC LM324 as a based filtering subwoofer signal input and as a buffer its power amplifier. 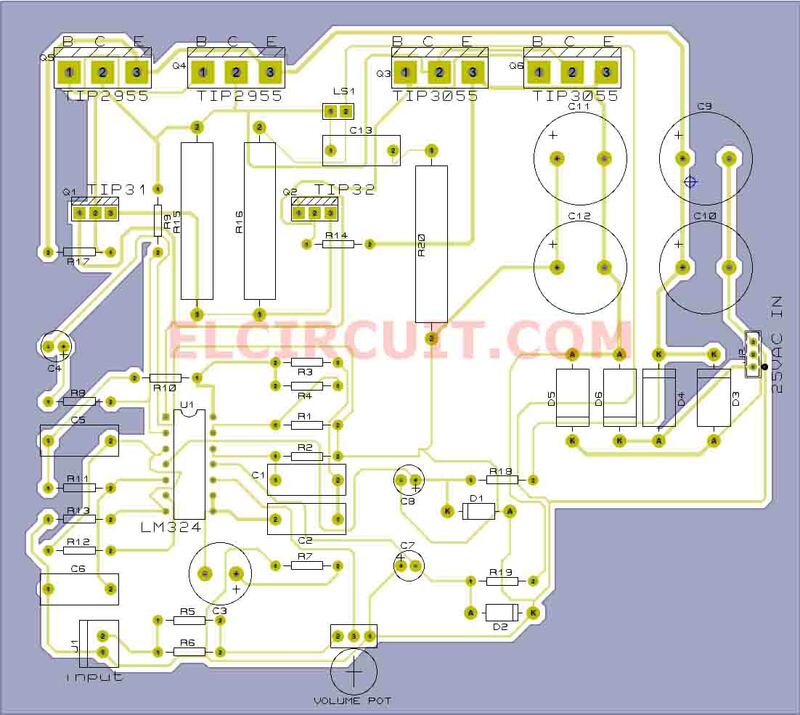 See the circuit diagram below. 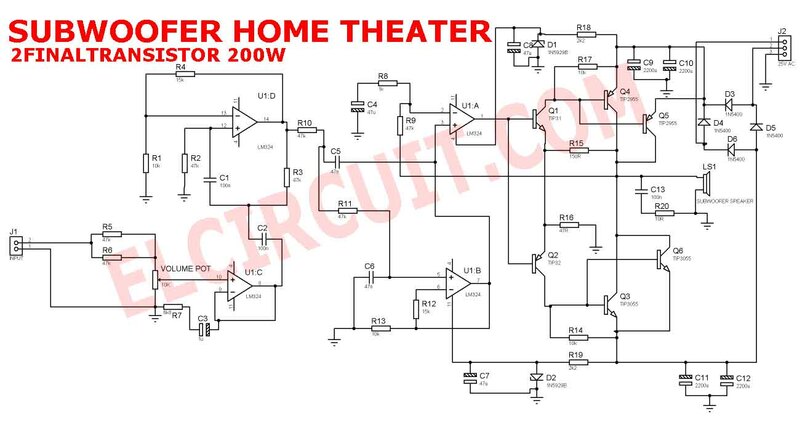 On the circuit subwoofer home theater above, I mentioned earlier IC LM324 as a filtered subwoofer and buffer circuit amplifier. 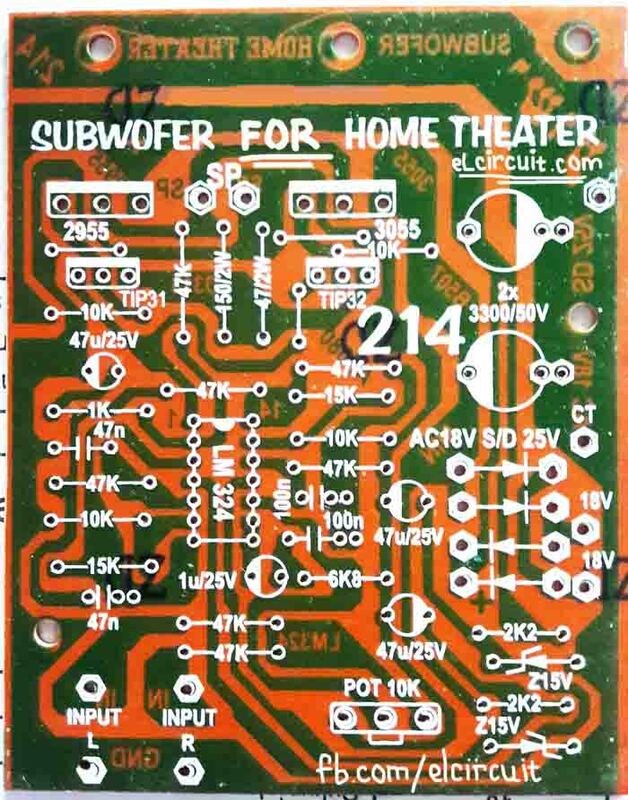 For enhancing subwoofer performance you can be adding Subwoofer Booster Circuit 4558 and adding more Final Transistor Amplifier TIP3055 and TIP2955. 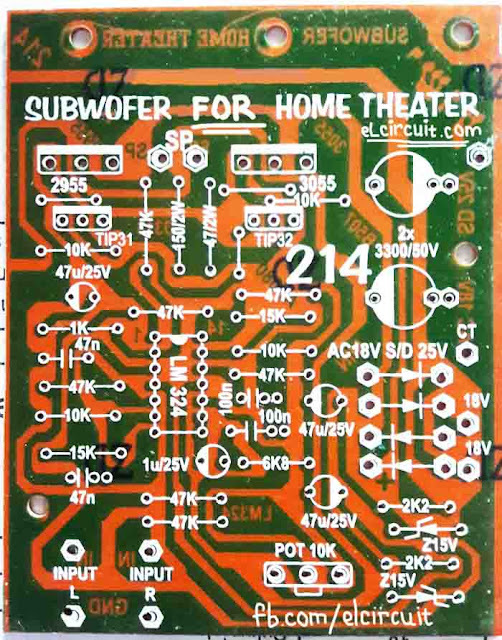 The subwoofer amplifier circuit is a complete power supply, bridge diode, and Capacitor filter. 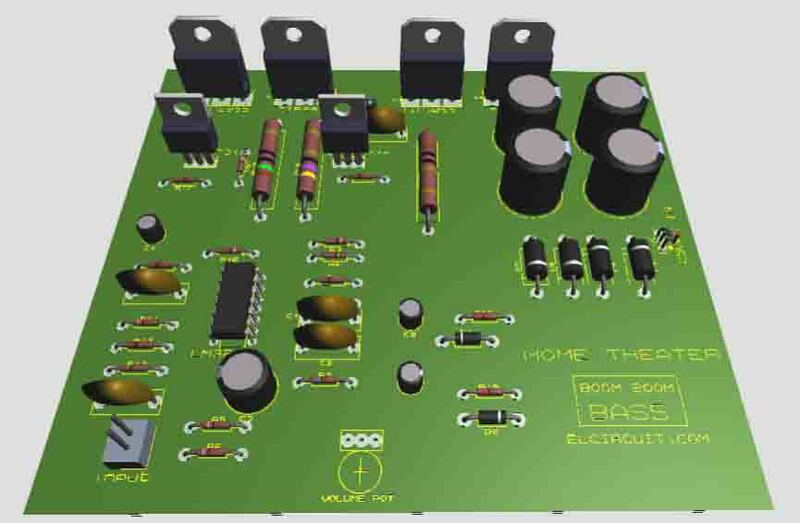 Voltage Supply about 25V AC from Transformer step down with rating minimal 3 Ampere. 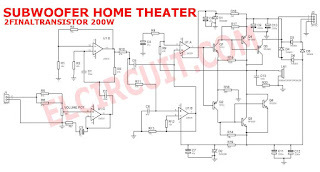 Output Power About 100W. 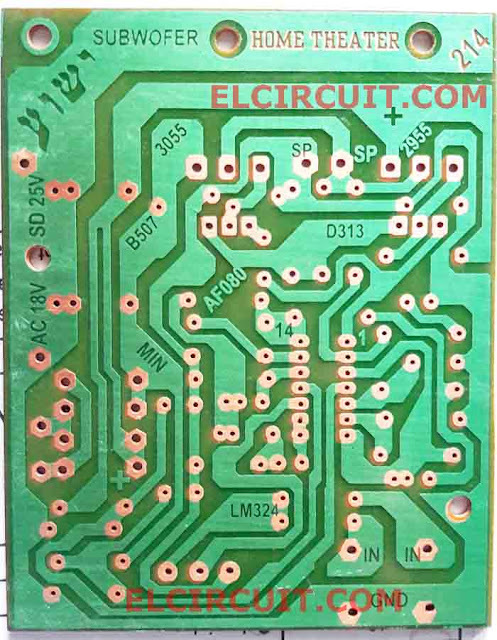 Buy these components parts, go to Allchips. 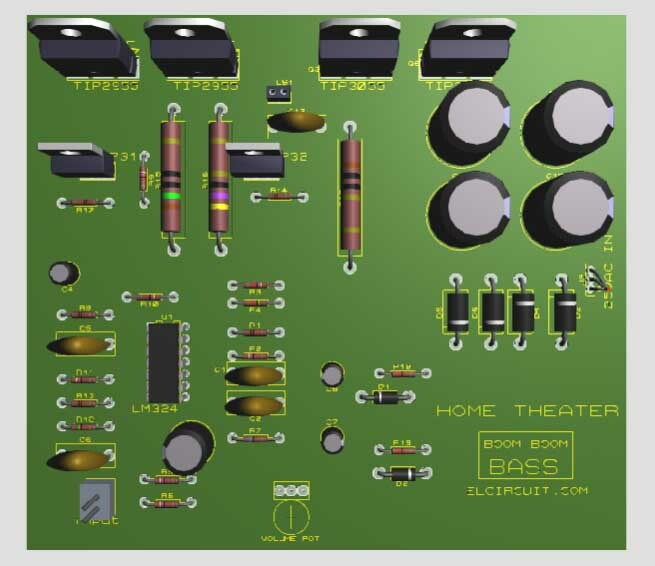 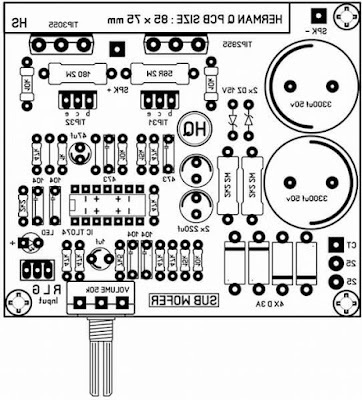 For DIY'ers making Subwoofer Home Theater easier, follow this Layout PCB design. Maybe the power amplifier is protect, is any protect system on your amp? 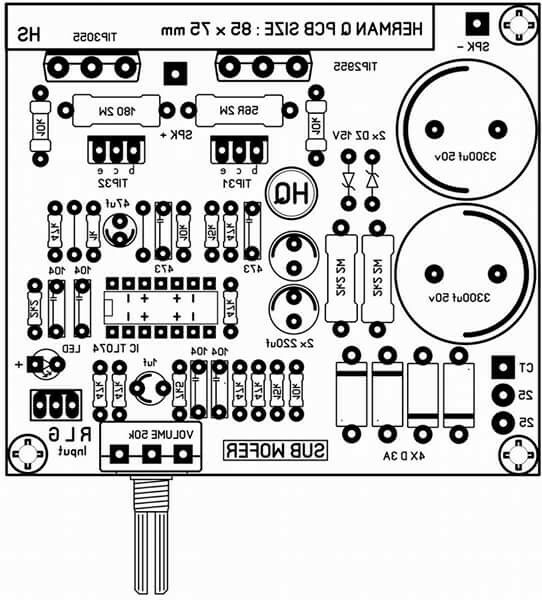 I have Kenwood Amplifier but but volume is low what is the preoblem? 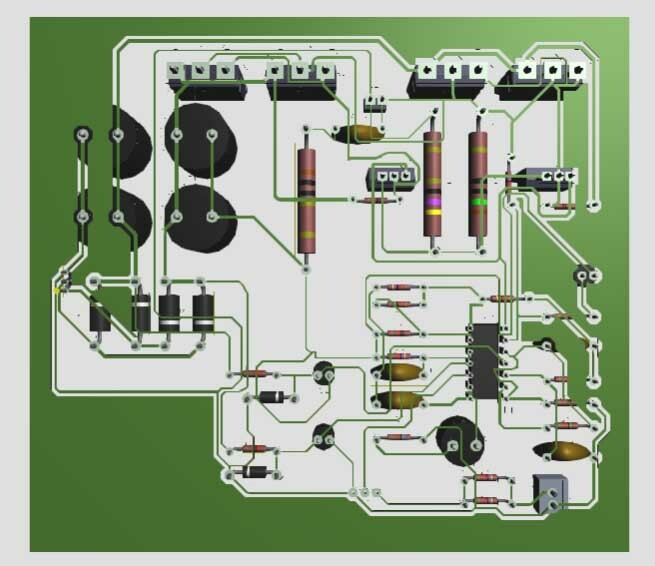 Ineed your help. 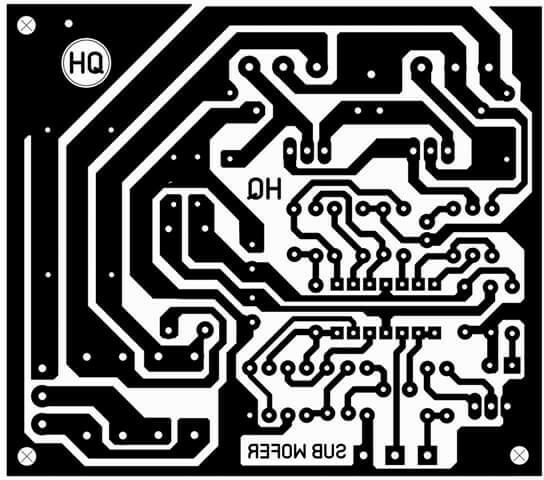 please check any input output control. How Can i get this pcb? 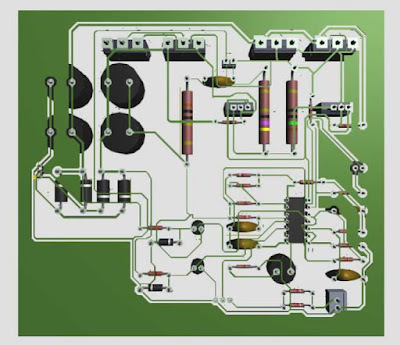 is it possible to trade with people in kenya?